As I sit and type this gently on the elegant and thin modern keyboard of my computer, I find myself wishing for the catharsis of a mechanical typewriter. Behind me, on the other end of my office, is my grandfather’s 1923 Underwood upright. As a kid I pounded on it until all the keys bunched up in a wad. I rolled the platen. I rang the little end-of-line bell. I love computers and digital technology. I am fascinated by the powerful communication tools offered by the 21st century. But nothing beats a cool mechanical device. The sensuality adds to the creative process. Writing on that machine — a few high school papers when my father wouldn’t let me on his IBM Correcting Selectric — was a physical endeavor with all the rewards of exercise. You swing fingers into the long throw of the keys, controlling the strength of a word through how hard you pounded the letters. The emotion of a word or line exploded into the act of typing. Each line musically ended with a sweet ding and a gratifying swipe at the carriage return lever. Through the process your mind needed to stay three steps ahead of your fingers, plotting each word and paragraph in advance to avoid a retype of at least a page. When that page was done, you could melodramatically grab the paper and yank it out of the platen with a satisfying and final buzz of the ratchet. Just over a year ago I pulled out the small portable Smith-Corona my father used in college. I thought my seven-year-old guests would be happily occupied banging on the keys and tangling the font the way I did. “Is this an old computer?” Zoe asked with a gasp of fascination. In photography I get the same pleasure from pulling a dark slide out from in front of a fat sheet of film, or from cranking a film roll into a Rolleiflex, or from cocking the shutter of an old Flash-Supermatic leaf shutter. I listen to the soft trip of a Leica M3 at 1/60 second and savor the polished roll of the advance lever mechanics. The sense of beginning in those actions is so much more palpable than in the slip of a memory card into a slot and the tinny ping of a DSLR. In a darkroom I still relish the feel of a roll winding onto the stainless-steel reels, the sour smell of the hypo, the suds of the Photoflo. Watching an image appear as I tip the corner of an amber-lit tray takes me instantly back to age 15, a basement darkroom, and the excitement of discovery. But I am not a Luddite. I am a master’s student in Digital Media Studies at the University of Denver as well as a working digital photojournalist and photojournalism teacher. I find sensuality in the visual and aural output of the digital age and the elegance of its engineering. But that’s another post. “May I talk to the Federal Police?” I asked in my best Brazilian Portuguese as the security inspector fondled my film. She nodded to a badge-wearing cop sitting a couple meters away. “We told this guy the machines won’t hurt film up to ISO 500, but he won’t even let us put the film below that on the belt,” she huffed after he approached. For most professional photographers who have ever worked overseas, this sounds like a tale from the last century. But it’s not. It was 9/9/09. I had walked up with fair confidence that the security inspectors at Rio de Janeiro’s international airport would easily hand check my heap of film. I had been through this line a dozen times over the years, without trouble. I asked the young belt attendant to please hand check the film. She looked at one roll — ISO 100 — and chucked the whole bag on the belt, mumbling something unintelligible to me. “Por favor, não!” I begged, lunging to grab the film. I’m surprised I wasn’t arrested right then and there. “I said it won’t hurt anything under 500,” she said, referencing a threshold I had never heard before. Usually they claim 1000. Now I was even more suspicious of her having inaccurate info. I told her they were a mix, and that the effect is cumulative. She grimaced to a supervisor, who stepped up to look at the film and repeat the 500-ISO line. When she set out to pick all the ISO 100 out of the carefully sorted ziplock bags and send it through the X-ray, I asked for the federal cops. That can be a risky move. They sit there with the purpose of arresting trouble makers like me. But in the past I had luck on this matter with the Brazilian feds. As the beefy, head-shaved cop dug through the film, he pulled a few random rolls out of each ziplock. He opened each canister and shoved the spool end into his right nostril and inhaled soundly, apparently sniffing for explosive residue. I hope his nose was clean. After a half dozen rolls, he handed the bag around the machine. I thanked him directly and sincerely and sighed a bit of relief. By now you’re asking, “What knucklehead would drag film overseas in the age of X-ray-proof digital imaging?” Well that would be me — either an eccentric genius, or a glutton for punishment. There are many good reasons to haul the digital gear on any assignment that involves flying, and I debated the choice much with myself before leaving. For example, you can sling a bag of digital gear on an X-ray belt without worry. You can shoot as many frames as can be held by the storage you bring along. You can rest assured you got the frame by seeing it immediately. Newer cameras feature nearly noiseless high ISO, easy white balance correction and better dynamic range than film. You can edit your work as you go and keep track of what you’ve covered. If a war breaks out, or something explodes in front of you, you can file the images immediately. • It’s easy to carry plenty of storage, and it’s now cheap. But it is relatively fragile. A misstep in computer use, a hard drive crash or an accidental drop can wipe out an entire shoot. Film is somewhat sensitive to X-rays and heat, but as long as you don’t let it get zapped multiple times or leave it sitting on a sunny car seat, you’re fine. • A laptop is an attractive target of theft. A bag of used film is not. • A professional digital camera is a conspicuous target of theft. Beat-up-looking film cameras are less so. • Those digital batteries are expensive, hard to replace and require a charger on fairly stable voltage. Regular and reasonably stable voltage can be a rarity in remote places. • Those new batteries seem to last forever — a couple thousand frames — but I want security in being able to shoot. I like hauling gear that works on ubiquitous AA batteries and cameras that almost fully function without any batteries at all. Remember Sunny 16, my students? The cameras I hauled on this trip only need batteries to power a light meter. and they last about six months no matter how many frames you shoot. • Laptops have the same juice needs as above. They weigh about the same as fifty rolls of film, and take about the same amount of space. How did I work and why? I took a couple film bodies notorious for their reliability and the quality of their lenses. They are tiny and unobtrusive, quiet and lightning quick. They look just like something from the 1950s to the average person. I also packed an e-mail-capable cell phone, a decade-old palmtop that runs on a pair of AAs on which to write this. Admittedly, I have also traveled extensively with digital, and none of the above problems have ever surfaced. Which I choose largely depends on my mood the day I pack, or on how quickly I’ll need to deliver the images. I took about 50 rolls of film for the week-long shoot. Quick turnaround is not an issue with this story. I’ll have plenty of time to process the film on my return. To get the best quality I’ll have to be deadly accurate with exposure, but that’s fine. I always try to do that anyway. Yes, film requires money out of pocket at least temporarily, but even in these days of digital if you have a compelling reason for using film, an editor will cover your costs. I had the film already, sitting in my freezer awaiting just such a story as this. The cost can also be a short-term gain. 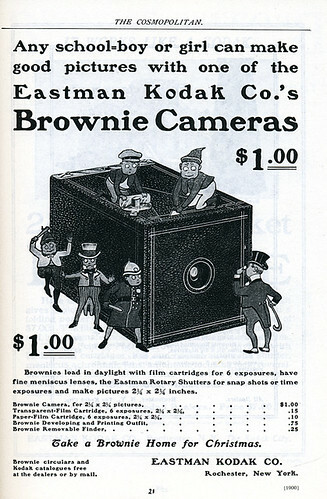 On the day I’m writing this a new digital body was announced that does almost all of what these old film cameras do. But it would cost $7,000 out of pocket up front. By my calculations it would take 500 or more rolls of film and processing before the prices broke even — or ten of these kinds of shoots. Storage of the film is also cheap (a mangy old file cabinet, and a safe deposit box for the best selects). They’ll be readable by whatever technology is around in 100 years. If I am truly worried about X-ray damage, I can have the film processed on location to make it zap proof. And if I run low, I can still buy more film nearly anywhere. In return for the X-ray hassle, I’ll get a distinct look, 25 or more megapixels of resolution, and full frame lens coverage. I also get the joy of using what is for me the most perfect camera ever made, and that is the most important-to-me reason I made this choice this time. They are comfortable, support the way I see and are a pleasure to use. Though I love the quality of the images from my latest digital camera, I adore working with these simple and direct machines. Sometimes I get nervous when I can’t chimp (peek at the LCD screen) to know I have that fleeting moment or difficult exposure. For example, on a trip a couple years ago I was assigned to photograph a moonlit dance party in Brazil’s northeast. I wanted some exposures of the full moon above some relatively still bench warmers at the dance. The light was so low that the meter of these cameras would not read it. I licked my index finger stuck it to the wind and guessed f/1.4 at 1 second. I had to wait more than a week to find out I was right on. At the time I wished like crazy I could peek at the images right then and make any needed adjustments. After the first day, though, I don’t miss chimping. As a matter of fact I chimp less and less on my digital camera all the time. I am confident of my skills, and find that needing faith on the shoot actually makes the shoot less stressful. I also find I work each scene harder to make sure I get it. I don’t shoot, chimp and leave too soon. So what about those X-rays? If you’re about to head off on a trip and think I might have excited an itchy advance lever thumb, what should you do? In the U.S. the X-ray machines are not an issue. Still on the FAA books is a regulation requiring the TSA to hand check your film if you ask. And they do. Not since the week after 9/11 has a U.S. security person argued with me about it. Overseas your experience will be unpredictable. And as fewer and fewer travelers hop planes with film, the security screeners become less patient with hand checking it. You’ll find more resistance in countries concerned about terrorism. In Argentina once I was told to put my film on the belt or not get on the plane. On that same trip, though, four other Argentine airports hand checked the film without complaint. In Paris I once had an assault rifle aimed at me as I was told to put the film on the belt. I’ve never been through Charles de Gaulle without having my film zapped. Some places are just impossible. But generally I slip through unscathed by simply being gushingly polite and insistent. Facility in the local language helps as I can counter arguments delicately and understand the questions. This leaves me in good stead in Portuguese- and Spanish-speaking countries. Elsewhere I’ve not had problems though. It also helps to have the film out of the boxes so it can be seen and opened easily. Carry it in gallon-size ziplocks so they have no trouble seeing it, and run everything else through the X-ray. Arrive with plenty of time for them to open each canister and fondle and swab each and every roll should they choose. And if your film does get zapped? I once had a roll of Fujichrome 100 X-rayed five times on three continents by accident. I left it in the camera. This could be from many factors, but that roll had signs of a lightness in the shadows when the scene had very high-contrast light. It was also slightly more grainy. All of these were easily corrected in a scan or analog print. But I figure the cumulative effect of those machines was there. As you know, exposure is cumulative. It comes from both the X-rays and the visible light you feed it, as well as the heat you expose it to. All sources add up together. If you send film through the X-ray once or twice you may not see any effect. But it’s hard to predict what the result might be. I’ve seen fog, spots, stripes, waves and color shifts in others’ film over the years, but since so many things can cause that, it is hard to pin it definitively on the X-rays. Once through, even with a moderate ISO film, should have a minimal effect. But the machines can be unpredictable. Though modern U.S. machines have lights that show the X-ray stopping when the belt does, I fear that older overseas machines let the rays keep pounding while the inspector peers into the bags. So pack the film loosely and in its own bag for the quickest look. This trip was a rare one in that I had two stretches of negotiation to do. En route here I had no trouble in Denver, Dallas or arrival in Rio. On the way back, I had to cajole in both Rio and São Paulo. It is worthwhile as I’ve so far kept my film free of exposure that I cannot control. Had I let it go through all the machines as the attendants said would not harm it, it would see X-ray light from five machines. Here in São Paulo, where I write this, I met polite but concerned security screeners who called their superiors to deal with me. The superiors walked me to the main screening area where they asked the federal police officer present who said, “Just have a look to see if something is fishy. If not, no worries.” The supervisors fondled and sniffed a few rolls and let me on through. The last thing I mean to say with this post is that it’s better to travel with film. I only mean to say it’s still a viable choice and worth consideration.